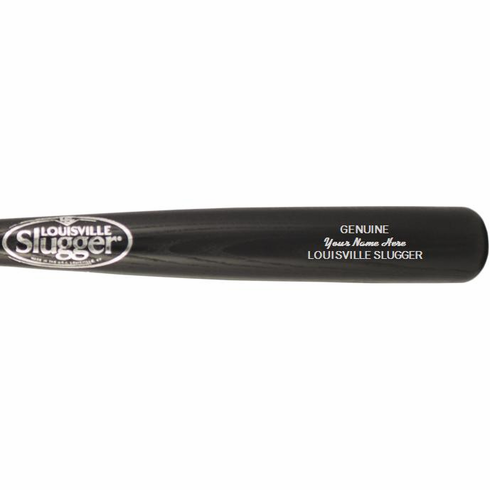 Louisville Slugger Custom Wooden Baseball Bat - Black. Professional black finish with silver or gold foil branding. Recipient's name is engraved in the identical fashion previously reserved solely for Major Leaguers. Up to four lines can be personalized - maximum 24 letters and/or spaces per line. Souvenir bat for display...not intended to be used to hit baseballs. 2 3/4" diameter barrel, 34" long.